ABS-CBN International The Filipino Channel’s (TFC) daily news show, BA (Balitang America) will join 11 other first place winners and 13 merit recipients at the 2017 New America Media (NAM) California Ethnic Media Awards in a Gala Ceremony to be held on September 19 at the PG&E Auditorium in San Francisco. 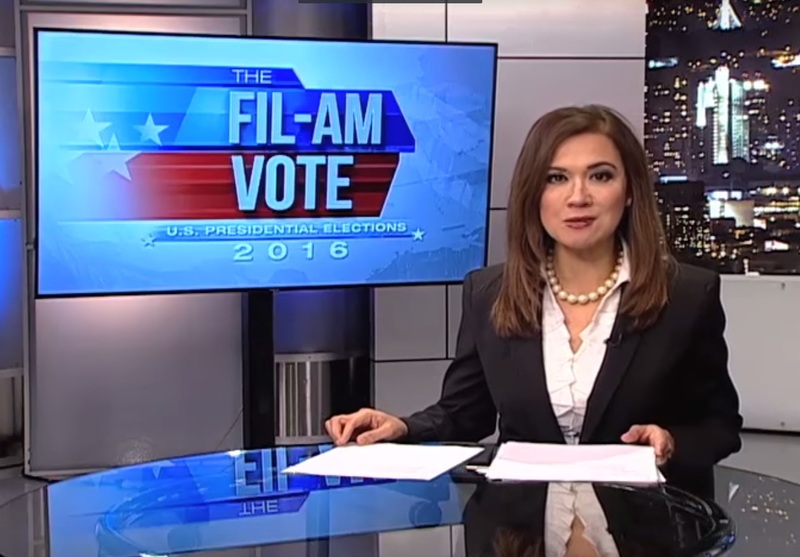 BA, which is marking its 15th anniversary, was chosen winner in the Outstanding Coverage of Voter Engagement category for its Election Day 2016 newscast and its special called, “The Fil-Am Vote”. Meanwhile, another Filipino winner is INQUIRER.net’s Cecile Ochoa who is a Merit Recipient in the Outstanding Coverage of Arts, Culture and Entertainment category for her piece, “86-Year-Old Fil-Am to Ride in Biker Rally, If He Ignores His Doc”. The 2017 NAM California Ethnic Media Awards celebrates outstanding journalism on issues ranging from the environment, health and education to politics, immigration, sports and arts and culture. A distinguished group of judges selected from more than 140 individual entries submitted by African American, Asian American, Latino, and Native American print, online, and broadcast ethnic media outlets. A special panel of youth media practitioners selected the winner of this year’s Emerging Youth Voice award. The awards committee also selected four “Ethnic Media Champions” – individuals who embody the resilience and dedication of the sector. Emceeing the ceremonies will be Martin Reynolds, co-director of the Maynard Institute for Journalism Education and former editor-in-chief of the Oakland Tribune, and Odette Alcazaren-Keeley, NAM’s national media network director and former executive producer/co-news anchor for ABS-CBN International-TFC. This year’s awards event marks the 10th anniversary of the murder of investigative reporter Chauncey Bailey, a NAM co-founder who was gunned down on Aug. 2, 2007 while pursuing a report for the Oakland Post. EASTERN GROUP PUBLICATIONS/EGPNews.com – Nancy Martinez – "Exide, Porter Ranch: A Double Standard"
LA OPINION – Jorge Macias – "Thousands in the San Gabriel Valley at Risk for Lead and Arsenic Contamination"
El TECOLOTE- Alexis Terrazas & Atticus Morris - "Alternate Reality: Growing Acceptance of White Nationalism in Trump's America" / "Realidad Alterna: Creciente Aceptaciòn del Nacionalismo Blanco en el América de Trump"
At the September 19 awards ceremony, NAM will pay tribute to its ethnic media founders, original supporters and collaborators, judges and sponsors, with special thanks to PG&E, the co-host for the 2017 awards, and our three Diamond Sponsors: Comcast, the San Francisco Foundation, and the California Health Care Foundation.